Veronique has extensive expertise in city diplomacy, migration, human rights and capacity building. At the City of Montreal since 2016, she has been Acting Director of the Office of the Integration of Newcomers – BINAM (November 2017 to May 2018) as well as an Advisor on migration and climate issues for the International Relations Office (2016-ongoing). As part of her relaization, since she joined the city, she prposed a position paper signed and submitted to the United Nations by 136 member cities of Metropolis as well as over 15 US cities. At the BINAM, she delivered the City of Montreal strategic framework for inclusion and integration. 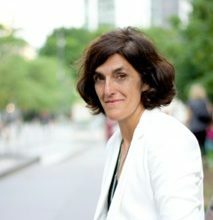 Prior to joining the City of Montreal, she gained over 20 years of experience as a lawyer in international development in the field of governance, rule of law and human rights. She conducted numerous mandates in strategic planning, managing, monitoring and evaluation of international development program in over 15 countries for Canadian International Development Agency, universities, NGOs/INGOs as well as international and multilateral organisations including United Nations and the Francophonie. She also has additional experience in immigration as an administrative judge at the Immigration and Refugee Board of Canada (IRB) as well as an immigration lawyer. Through this combination of functions and expertise, Veronique gained a strong understanding of migrant’s reality as well as a a good understanding of the context, challenges, systems and actors involved locally and internationally in the context of migration. She is well equipped to apply this knowledge in the context of city diplomacy and capacity building. Migrations, inclusion and international development are at the heart of her professional commitment.